The bride and groom dancing on their first dance at the Treasury on the Plaza in St Augsutine, Florida. It was a beautiful first dance with smoke around them. It was like magical. 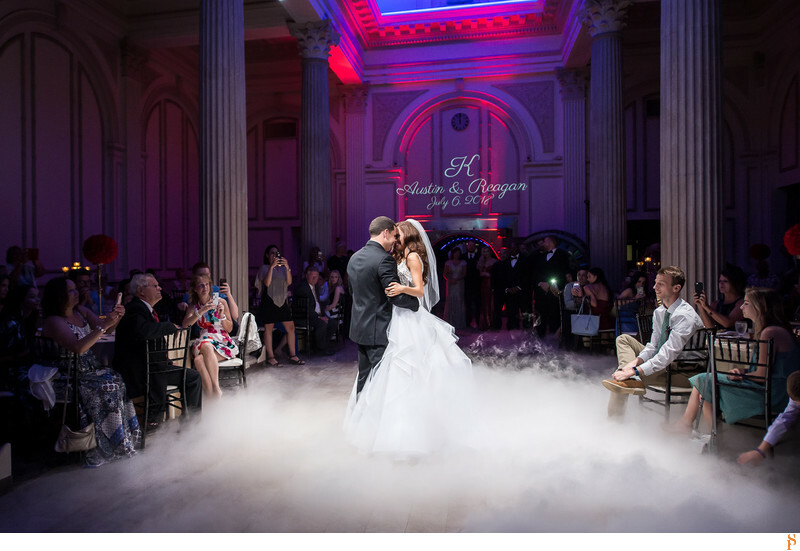 The bride really wanted her first dance to look like she was dancing on a cloud and it was perfect. They even had their names on the wall on top of the vault. Location: 24 Cathedral Pl Ste 111, St Augustine, FL 32084.